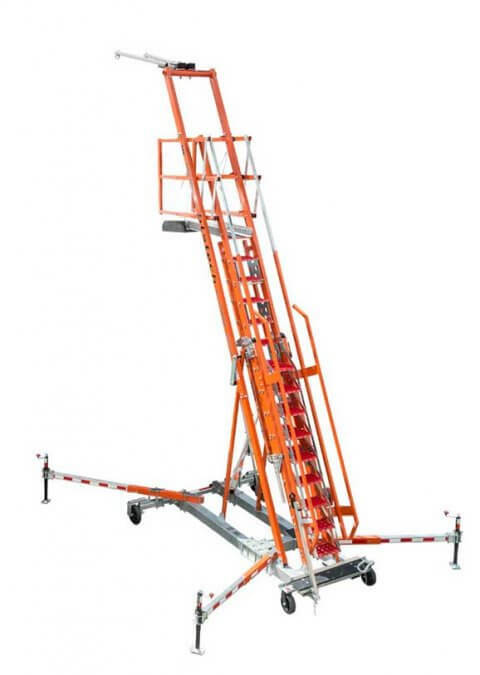 BTS Engineered Height Safety Systems have been designed to provide the ultimate fall protection when working at heights. Lifline Easyhire is now able to provide these systems on a rental basis. Our range includes mobile and portable systems from as little as *$100.00 a day. 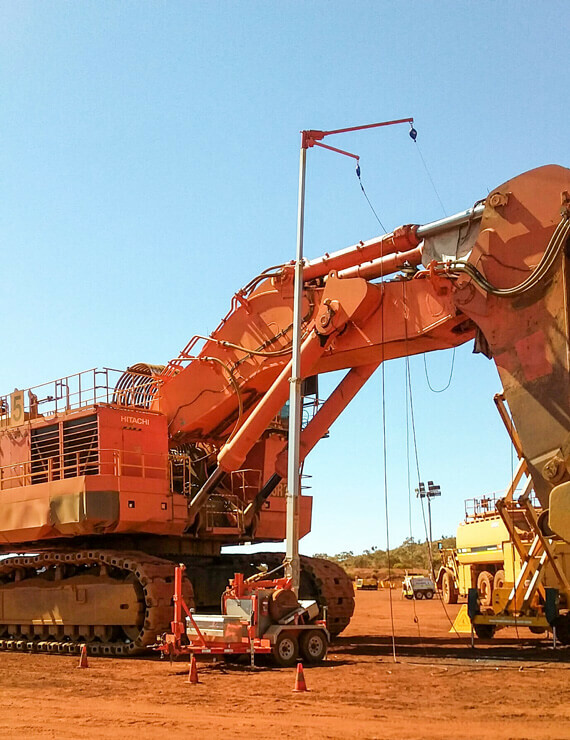 All of our systems are manufactured to comply with Australian standards, they are supplied with all of the relevant paperwork including certificates of conformance and operational manuals. 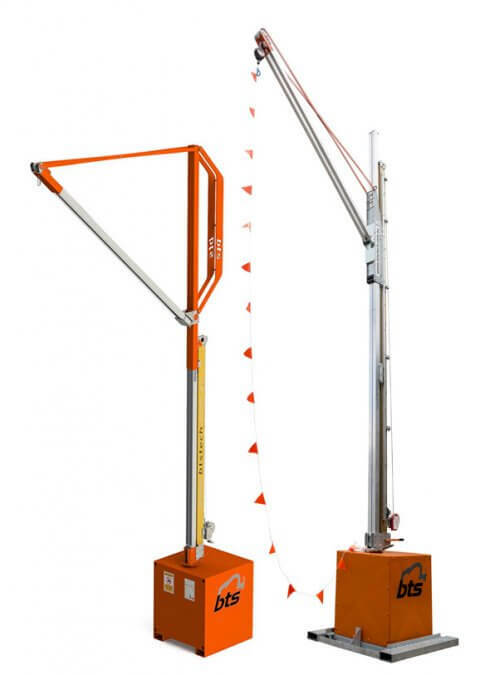 The LFAT provides fall protection for up to two (2) workers, on an overhead anchor point that is easy to set-up. 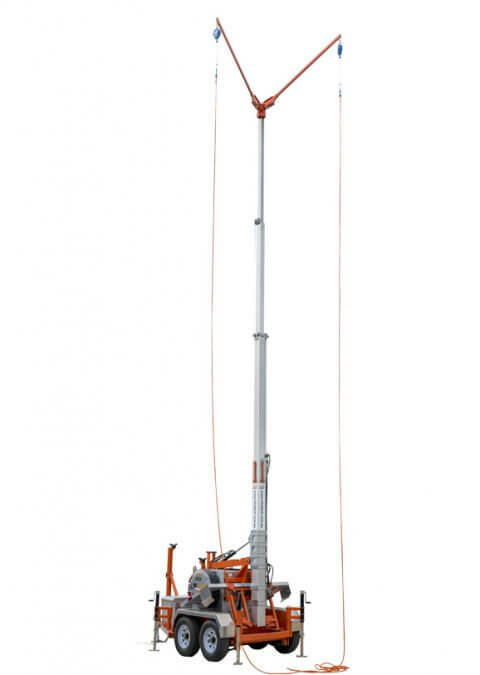 The main mast of the LFAT is raised or lowered using a hand operated hydraulic pump and valve arrangement. 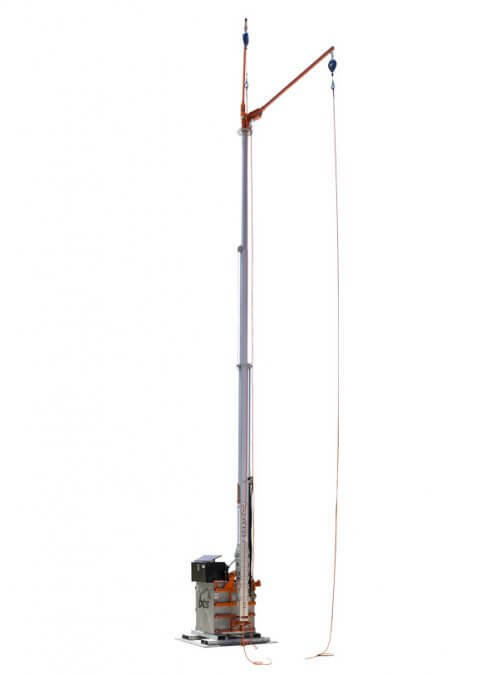 The EHLFAT provides fall protection for up to two (2) workers, on an overhead anchor point that is easy to set-up. The main mast of the EHLFAT is raised or lowered using an Electric (DC) / hydraulic pump and valve arrangement. 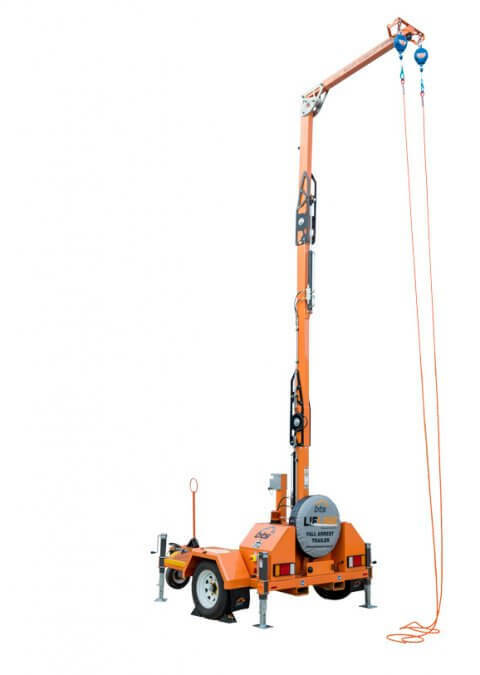 The 12.3m Electric / Hydraulic Exosphere Trailer is a complete overhead fall protection system that complies to Australian & New Zealand Standard AS/NZS 5532:2013 and is mounted on a towable road registered trailer suitable for all road conditions. The BTS Mini Restricted Space Cube (MRSC) c/w self-retracting lifeline provides sites with lightweight (2.7T) overhead anchorage point with small footprint that can be easily moved around from application to application with a forklift or hand pallet jack. 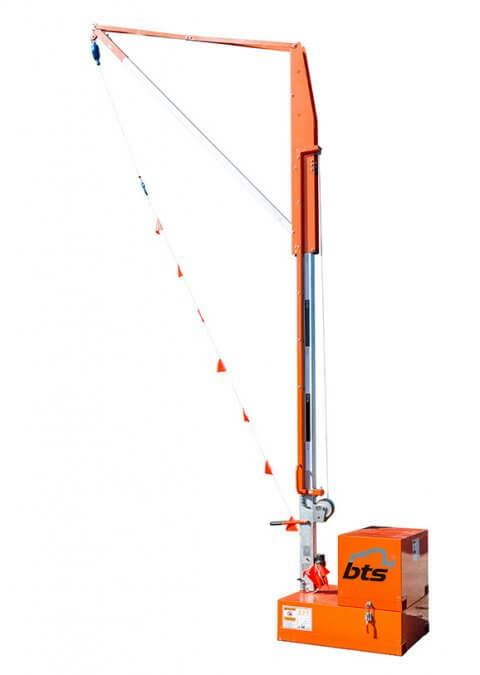 The BTS Restricted Space Cube (RSC) provides a person working at heights a robust overhead anchor point that is modular (can be used in pairs with an optional horizontal rail attached) and can be moved easily around a site either via a forklift or hand pallet jack. 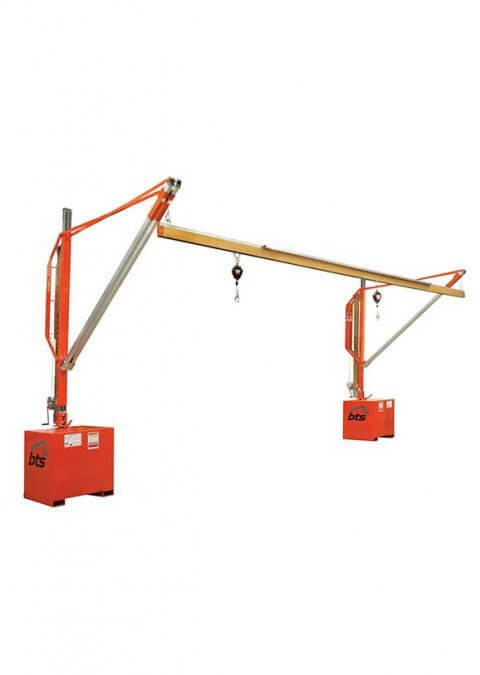 provides 2 persons working at heights an overhead anchor point that is modular and can be moved easily around a site either via a forklift or hand pallet jack. The Cube & Horizontal Rail combination is an ideal solution for sites where an overhead structure or existing anchor point may not be suitable. 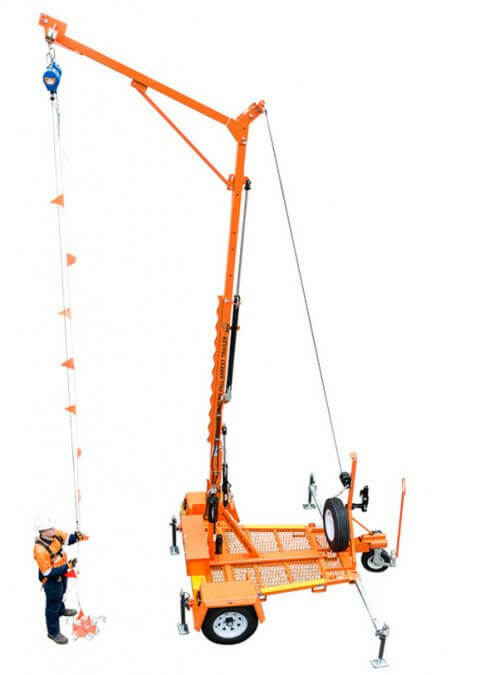 Available with an adjustable height of up to 7.3m and a working area of 14m x 5.7m (When adjusted to 7.3m high and workers are 2m off the ground). Lifline are able to organise delivery Australia wide and throughout Asia Pacific. Our systems arrive with all the relevant paperwork including certificates of conformance and operational manuals. Our team of dedicated professionals are able to provide you with the right advice on what you need. We can also provide onsite training if required. From as little as *$100.00 a day, we can supply a cost effective solution to ensure that your workers will always be protected when working at heights. Send us your requirements and location and one of our expert team will get back to you with our recommendation of equipment and quotation.